PTZ cameras allow the operator to remotely control the pan, tilt and zoom operations of the camera lens. PTZ cameras are often connected to a digital video recorder (DVR) which records the full field of view in full quality. 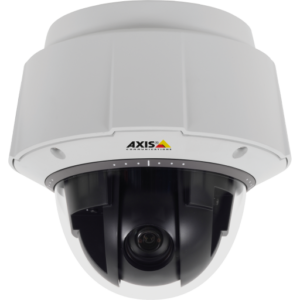 Other types of cameras are ePTZ or virtual pan-tilt-zoom (VPTZ) where a high-resolution video surveillance camera digitally zooms and pans into portions of the image, with no physical camera movement. Ultra-low bandwidth surveillance streaming technologies use VPTZ to stream user-defined areas in higher quality without increasing overall bandwidth usage.